Besides baths at villas, Takefue has four out-door hot spring baths, which you can charter for your personal use. These baths make this inn even more attractive and I tried three of them. I like the way they provide guests with a variety of experiences keeping their privacy. Dinner time. 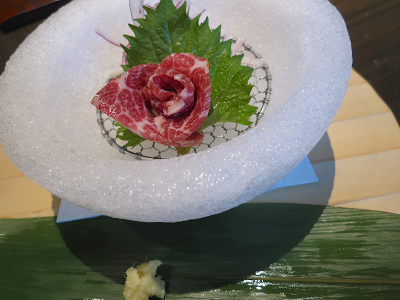 Starting from horse meat sashimi, Kyusyu's star ingredients keep showing up on our living-room table that has an irori (Japanese traditional sunken hearth). 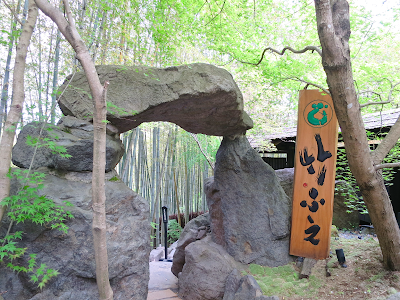 Unique rice containers with LED lights inspired by a traditional Japanese folktale "Princess Kaguya (The Tale of the Bamboo Cutter)" is another example of the inn's obsession with bamboo. They also treat guests to their housemade ice cream at the reception pavilion. This inn has 11 villas and each of them has different character and provides different hot spring bath setting. I chose the one with a king bed and the combination of an outdoor bathtub and an indoor cypress bathtub. Its spacious outdoor hot spring bath where I can enjoy bamboo trees and sun rays falling through them is the best place to unwind after 34000+ miles flight in 4 months. It's like a summer day. I drove north from the foot of Mount Aso, which is currently erupting, and arrived at Shirakawa Onsen (White River Hot Springs) adjacent to Kurokawa Onsen (Black River Hot Springs). 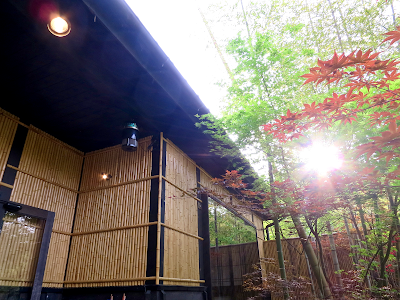 Then checked into Sansou Takefue, a bamboo-themed hot spring inn. 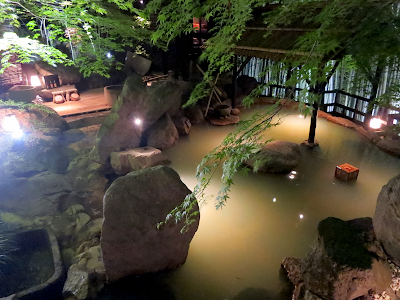 This inn is located deep in the mountains and has a feel of a hidden village which appears in Japanese old folktales. Chilled ramunes (Japanese traditional bottled soda beverage) are on the house. 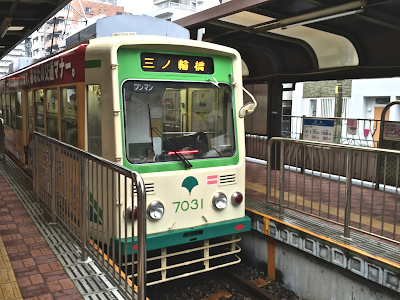 Landed on Kyushu. Above Usuki City. Approaching Kumamoto Airport from the west. ANA B767-300 HND-KMJ. The 637th flight in my lifetime. 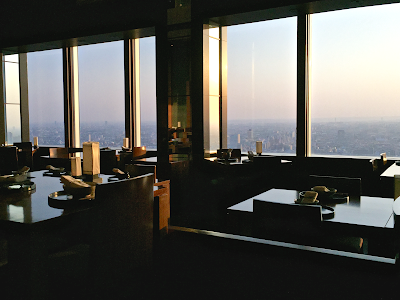 Dinner at Kozue, the Japanese restaurant on the 40th floor of the Park Hyatt Tokyo. 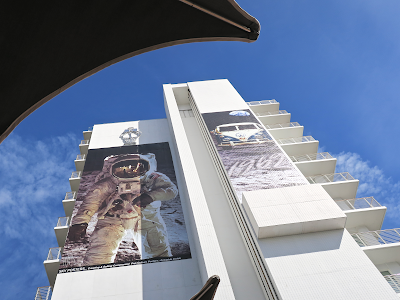 I have a tendency to go up to the sky even while I'm on the ground. 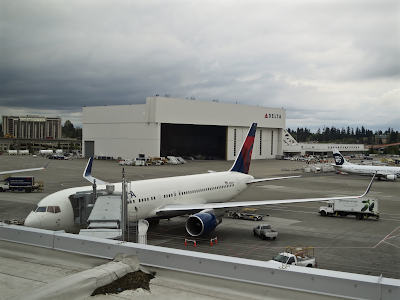 Delta is back on Seattle-Haneda route after a temporary seasonal suspension. 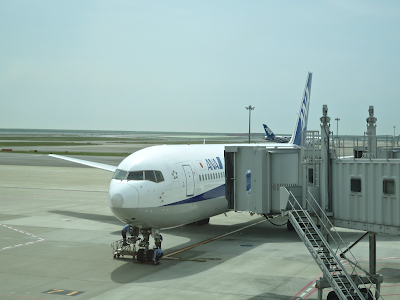 Today I fly to Haneda from Seattle for the first time since the resumption of the route. 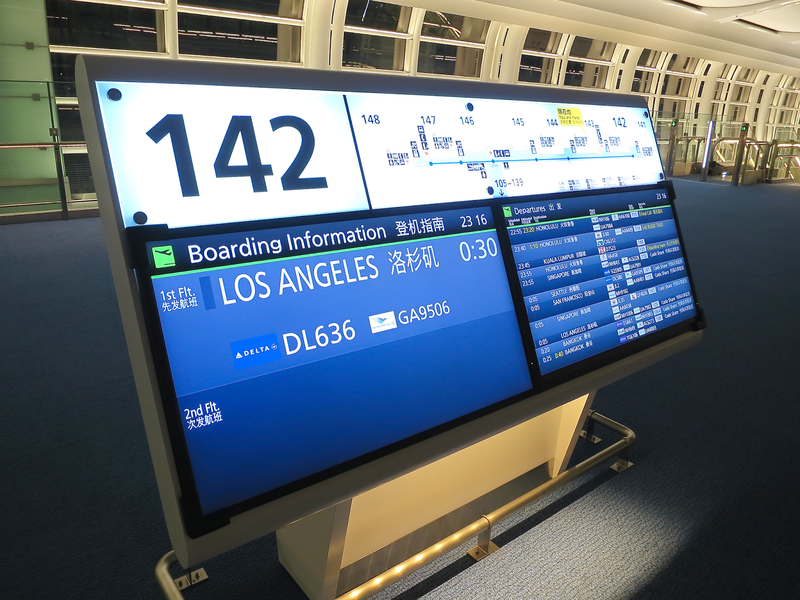 During Delta's virtual absence, both American Airlines and Hawaiian Airlines tried to get a precious Haneda slot for U.S. carriers. However, U.S. 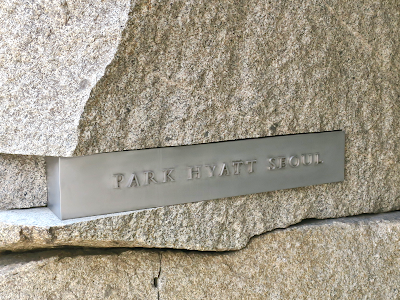 DOT let Delta continue operating this route claiming that Delta's Seattle-Haneda service provides the best public use of the available slot. 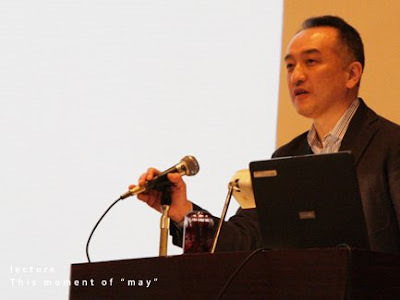 It was an excellent decision not just for the public interest but also for me. A curtained seat will be used as a crew rest for cockpit crews during the flight. 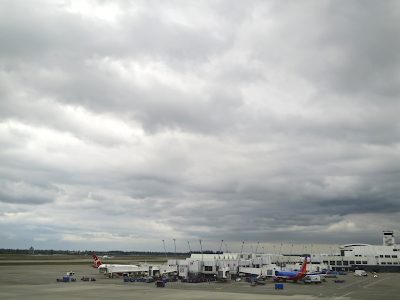 Sayonara, Sea-Tac. See you again soon. This is the joy of flying. Seattle-Tacoma is the front line of Delta's transpacific strategy. 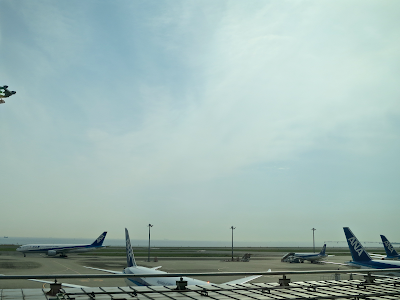 When I fly back to Tokyo, I prefer this airport to LAX because the airport's overall atmosphere is more relaxed. 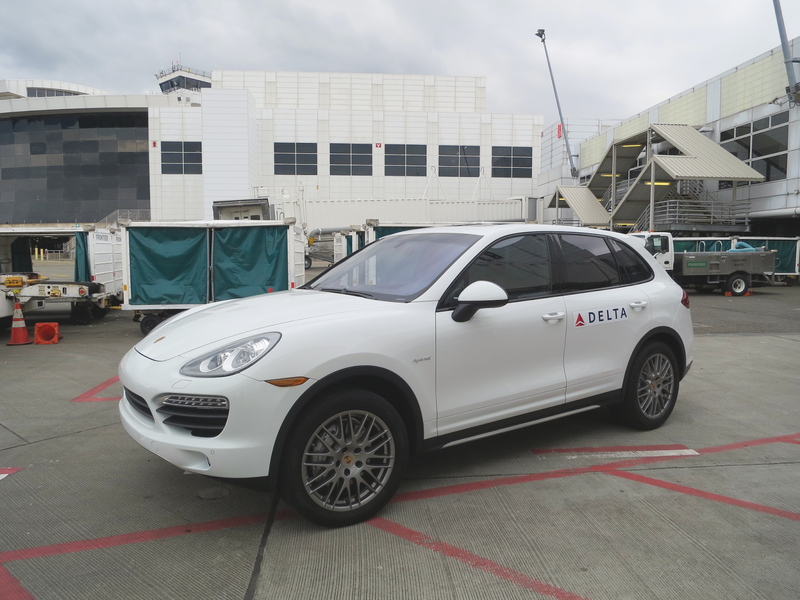 Delta prepared a surprise gift for me at Sea-Tac: a Porsche Cayenne S E-Hybrid with the Delta logo. They gave me a ride to the Sky Club lounge in this car. It was a short but exciting tarmac drive. I could view my familiar airport from an unusual perspective. The car arrived at the apron right beneath the lounge then the driver escorted me through the back stage area of the terminal. And of course, this Porsche has a Georgia plate. Thank you, Delta, for your southern hospitality in the Pacific Northwest. This is my 3rd flight to LA this year. Delta's Haneda-LAX flight used to arrive at Tom Bradley International Terminal which is notorious for intolerable congestion at passport control, but from this past March it arrives at Delta's own terminal T5. So immigration clearance is mush faster and Delta-to-Delta transit is smoother. 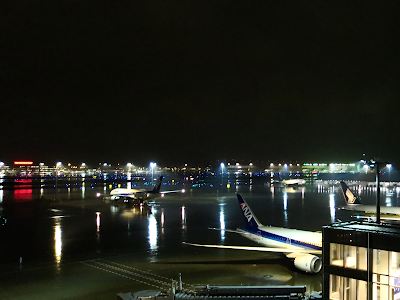 Haneda International Terminal at 10 pm. Airport lights reflected on wet tarmac is quite fascinating. I will be above rain clouds shortly.